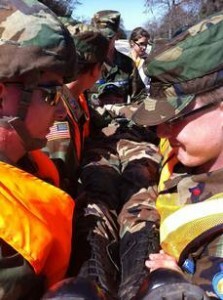 Members of the Denton Nighthawk Composite Squadron of the Civil Air Patrol carry a “victim” of a simulated plane crash during a recent search-and-rescue exercise. 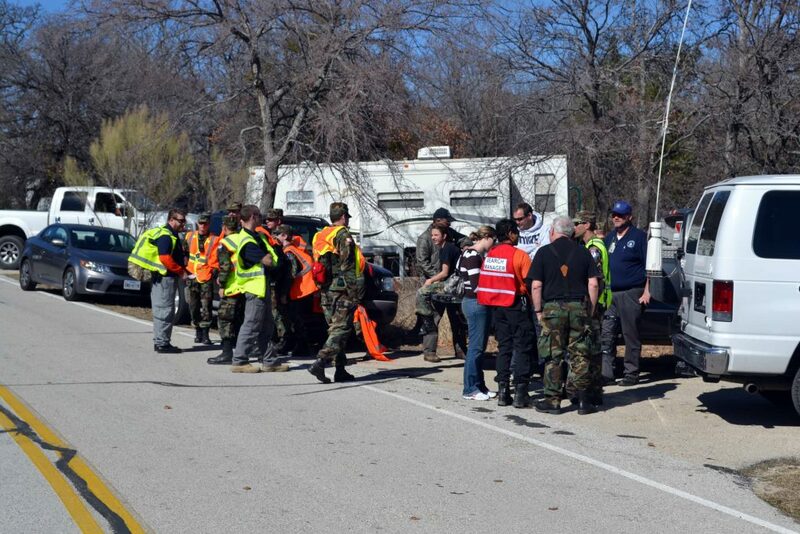 The Denton Nighthawk Composite Squadron of the Civil Air Patrol recently set up a search-and-rescue exercise near Ray Roberts Lake. The exercise provided an opportunity for Civil Air Patrol members in the region to prepare and attain their ground team qualification, according to an announcement from Austin Peralez, public affairs officer for the Denton Nighthawk Composite Squadron. A search-and-rescue exercise is a quarterly emergency services event in which cadets and senior members focus on skills involving search and rescue and disaster relief. The Nighthawk Squadron in Denton is the largest composite squadron in the Texas with nearly 100 members, the announcement stated. Membership consists of about half cadets, ages 12 through 20, and senior members, 21 and older. The program focuses on three core areas: cadet programs, aerospace education and emergency services. The Nighthawk Squadron is one of more than 100 units in Texas, but it is one of the few to be selected as a Quality Cadet Unit in both 2010 and 2011, according to the news release. Cadets in the program learn about aviation, space, leadership, public speaking, drill and ceremonies, wearing the uniform properly, self-discipline and emergency services. They have the opportunity to learn about aviation by making up to five flights in a powered aircraft, such as the unit’s Cessna 182 four-place plane, and additional fights in a sailplane. This year, members of Nighthawk Composite Squadron were part of the teams that found two downed aircraft. 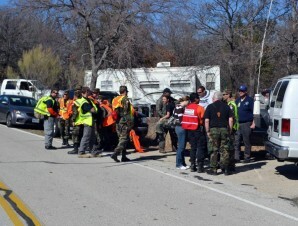 Civil Air Patrol was credited with saving 54 lives in fiscal year 2011 through its emergency services programs, according to the news release. The unit also conducted a recruiting drive at Calhoun Middle School in Denton, which resulted in more than 100 middle-school students expressing interest in learning more about the program.